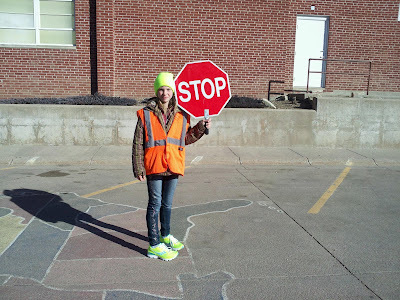 I don't know which is brighter, the stop sign or the hat and shoes! Marshall is 5 Years Old! !